There’s nothing worse than reaching in your closet and not being able to find your favorite shirt. However, as much as you’d love to be able to find what you need, the idea of cleaning it out may make you shudder. What you may not realize is that decluttering your closet doesn’t just help you find your clothing more easily; it gives you greater peace of mind. Therefore, it’s time to roll your sleeves up and get busy. It’s easy to convince yourself that you need everything in your closet. However, one of the reasons you’re often so frustrated trying to find what you need is because of everything else taking up room in between. Try to be honest with yourself about when the last time you wore something was. If it was more than six months ago, it’s a definite no. Pull everything out that you don’t love and haven’t worn recently. Put it in a bag and get it ready for a donation center of your choice. In order to make organizing things easier, pull all of the remaining clothing out and divide it into three piles: a warm-weather pile, a cold weather pile, and a mid-season pile. It’s a much less daunting task if you only have to focus on three categories. Don’t worry about accessories or shoes at this point; just focus on the clothing. Now it’s time to put everything back in. The placement will depend on what current season you’re in. If you’re currently in mid-season, then place warm and cold weather items to the sides and back of your closet. 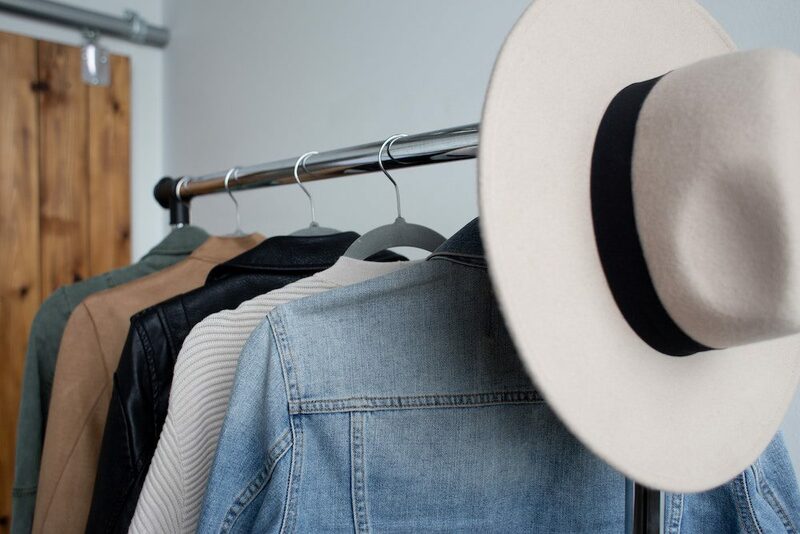 By keeping everything centered that you’re most likely to wear right now, you’ll spend much less time having to sift through things you don’t need. Now that your closet is looking organized and clean, it’s time to make sure that it stays like that! Since life can get hectic and you may not be able to keep it looking that great forever, try to organize it from time to time. Sort through your sections and make sure that your items are placed correctly. A winter item may slip into your mid-season section, and vice versa. Try to take a few minutes each week to tidy up. When the seasons change, pull everything out and place the new season in the center. Take this opportunity when you pull everything out to see if there isn’t anything else that you may need to donate. By keeping up with the constant rotation, you’ll be able to keep your closet a stress-free zone!